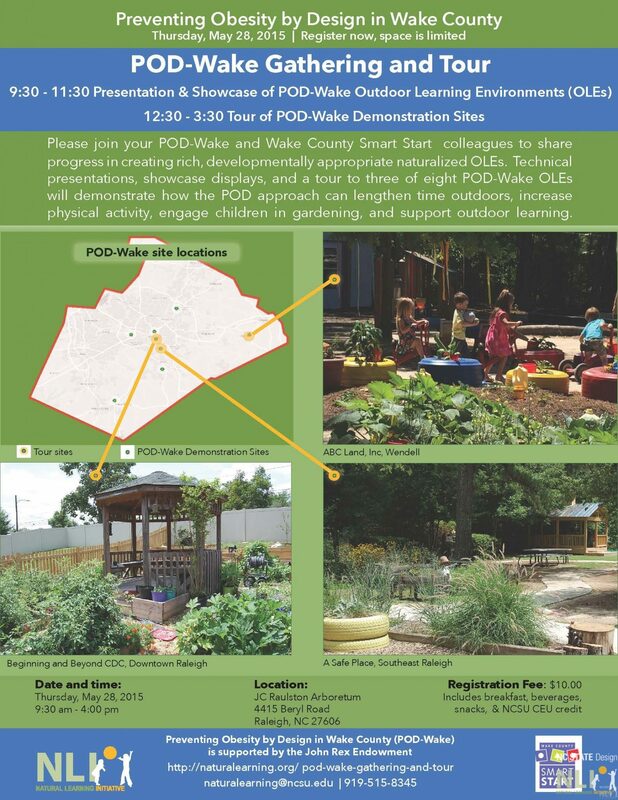 In 2015, your POD-Wake and Wake County Smart Start colleagues shared their progress in creating rich, developmentally appropriate naturalized OLEs. Technical presentations, showcase displays, and a bus tour to three of eight POD-Wake OLEs demonstrated how the POD approach can lengthen time outdoors, increase physical activity, engage children in gardening, and support outdoor learning. During this tour we visited ABC Land, Inc., Beginning & Beyond Child Development Center, and A Safe Place Child Enrichment Center.